This skilled satirist is relatively unknown in the West, but he made huge contributions to Russian language, literature and social development. 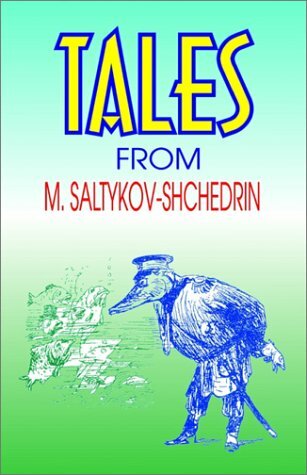 Mikhail Saltykov-Shchedrin was born on Jan. 27 1826 and would go on to become one of the most controversial writers of his day. Described by his contemporaries as a “writer of sarcasm and corrosive analysis” and “Russia's legal terrorist,” he was uncompromising in his biting satirical attacks on society and the state. Although Russia has changed regime twice since Saltykov-Shchedrin was alive, his words seem as fresh now as they did then, as official corruption remains a scourge of modern Russia. Saltykov-Shchedrin was well placed to judge its extent in his own society, as he served as a high-ranking official in the Tsarist regime for a long time, which gives his work an additional edge. His importance was noted in his own lifetime, too: Leo Tolstoy described him as the “prosecutor of Russian public thought,” while Ivan Turgenev compared him to Juvenal. The writer’s double-barreled surname, Saltykov-Shchedrin, shows his dual life. For many years he was simply Mikhail Saltykov – a nobleman by birth who had built a successful career as a civil servant and was the vice-governor of the Ryazan and Tver provinces – and Nikolai Shchedrin, a writer and social commentator, Saltykov’s pseudonym. He caught the authorities’ attention with his first novellas, Contradictions (1847) and A Complicated Affair (1848), which mocked social conventions of the day. The writer was exiled for eight years to the city of Vyatka in north-eastern Russia for his “harmful way of thinking and pernicious desire to spread ideas that have already shaken all of Western Europe” – a reference to the 1848 French Revolution, which had frightened the government and sparked his harsh punishment. 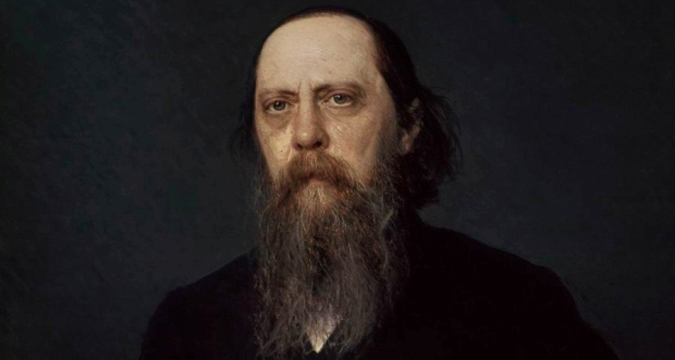 Saltykov-Shchedrin continued his official career in exile, however, gaining an abundance of material for future work from his observations of Russia’s bland provincial life. Gradually, Shchedrin the writer displaced Saltykov the official. In 1868, when renowned Russian poet and journalist Nikolai Nekrasov invited him to co-edit Russia’s famous Fatherland Notes magazine, Saltykov-Shchedrin dedicated himself fully to literary work. He gained a reputation as a satirist in 1856 with the publication of his set of stories Provincial Essays, where he described provincial Russian life, condemning and ridiculing social conventions, laws, officials and landowners. Shchedrin was soon a target for criticism himself; he was accused of scoffing, sneering and pandering to the fashion for “laughter” in literature. “That a two-time vice governor is criticizing Russia’s state system is a paradox from both a moral and legal point of view,” a journalist noted at the time. Saltykov responded with new literary works. In 1870, he published a satirical novel called The History of a Town, which turned his mocking gaze away from the provinces and onto government circles. The Tsar and his ministers were shown as city mayors, and the imagined town in question, Glupov, became a symbol for the regime as a whole. “Glupiy” means “stupid” in Russian, so the name itself implies “city of fools”. 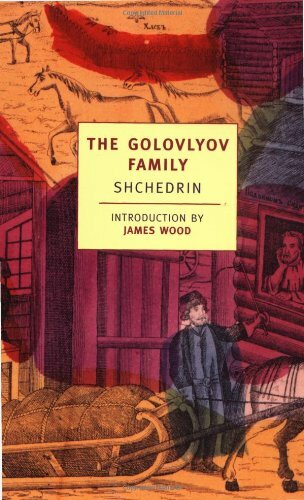 Shchedrin's writing style combined popular speech, zoological similes and the grotesque. He wrote stories such as The Idealist Carp, Eagle – Patron of Arts and The Bear in the Province, where he completely erased the boundaries between fantasy and reality. He would liberally use colloquialisms, proverbs, and occasionally crude or even abusive language. Saltykov-Shchedrin holds the record for the most new words introduced into Russian by an individual: around 600 of the language’s approximate total of 400,000. Examples include the Russian equivalents for "spineless", "softness", "shyness", "lousiness", "vociferousness" and "openness". For comparison, Pushkin and Dostoevsky introduced around 150 and 60 words respectively. Shchedrin's prose has historical value, too, as his attacks on the status quo reflect the growing public opposition at the time to values such as serfdom and, ultimately, the regime as a whole. "It is no big deal when you get half a ruble's value in Europe, but if you get a punch in the face for your ruble, now that is bad." "The severity of Russian laws is softened by the fact that obeying them is optional." "So clean that you are afraid to spit." "Introduce knowledge gradually, avoiding bloodshed if possible." "There should be a decency set to every outrage." How much do we know about Russian writers?